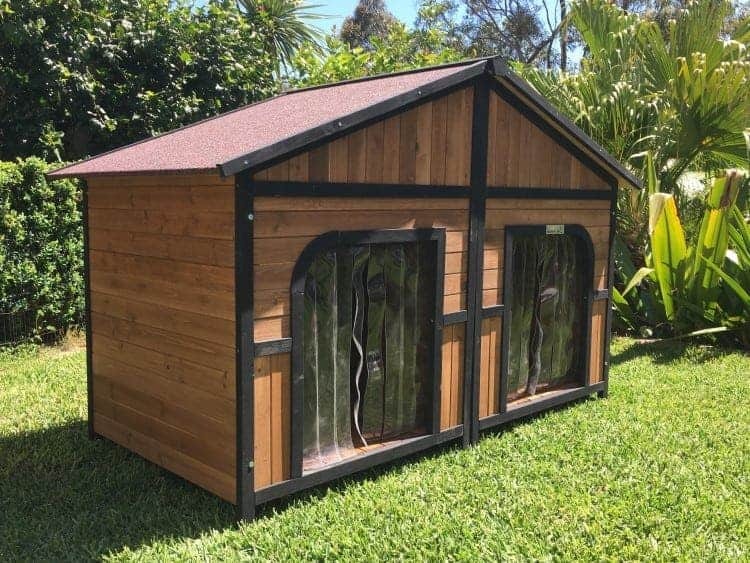 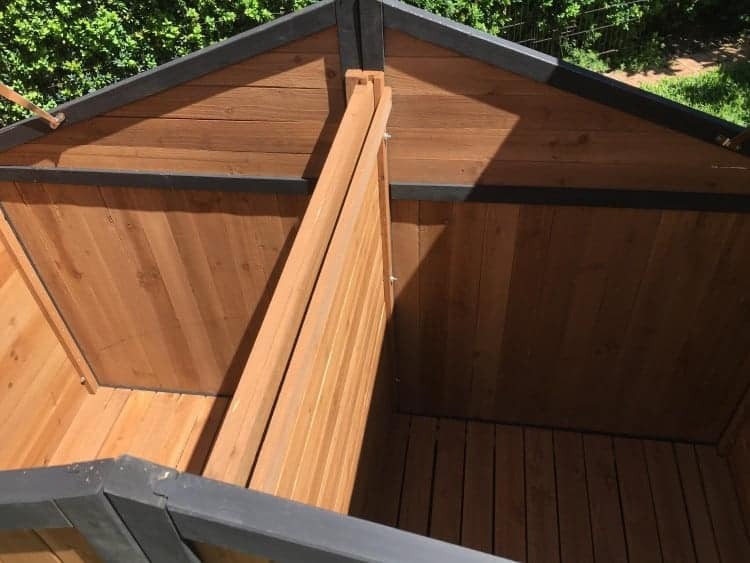 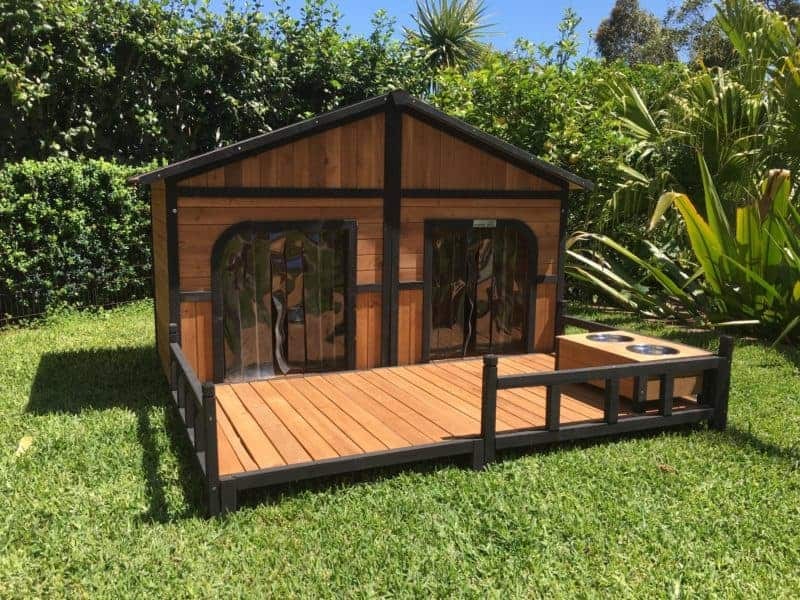 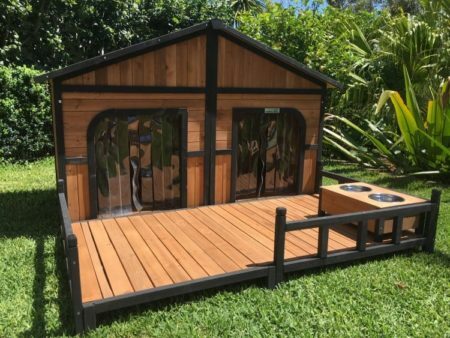 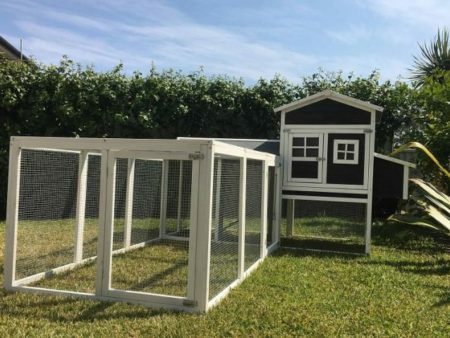 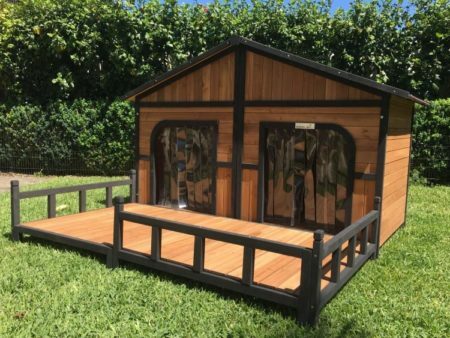 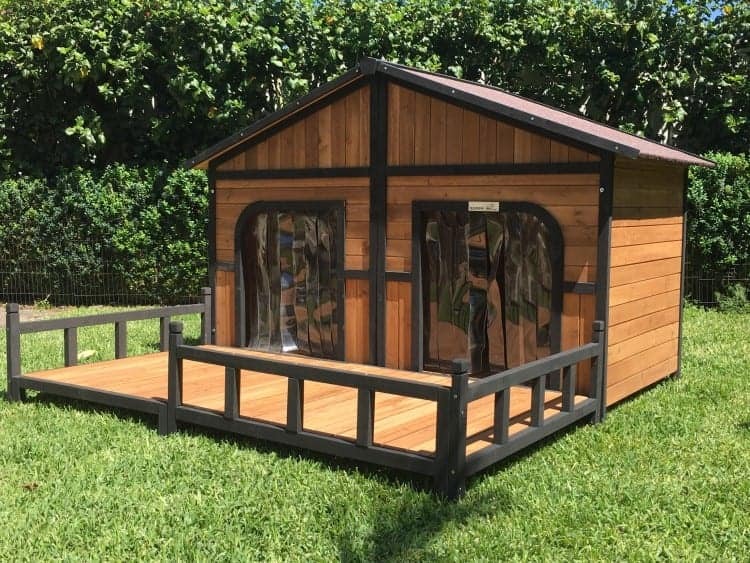 The Grand, Large Dog House is extra spacious (our largest kennel), a spacious front porch that is the perfect place for your dog to lounge in the sun and take a nap. 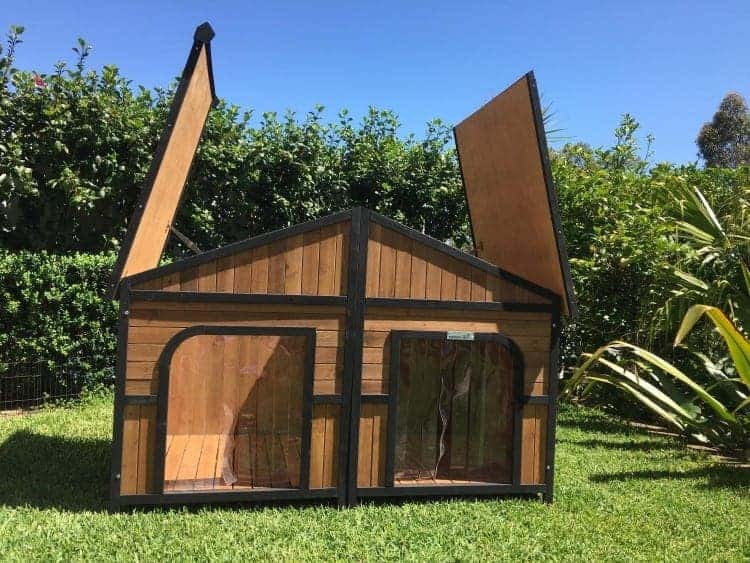 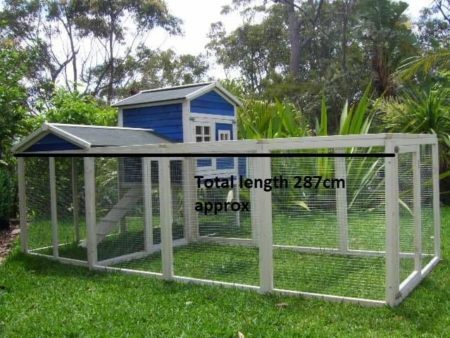 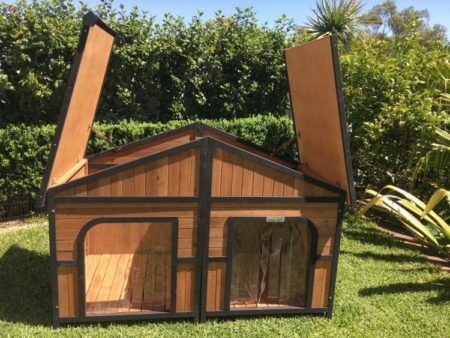 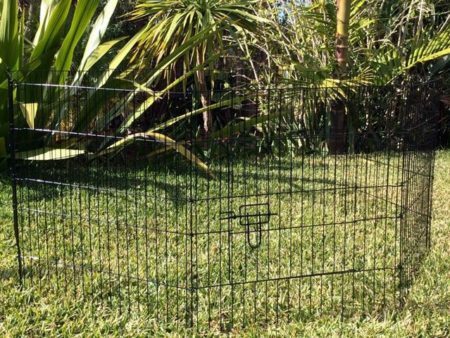 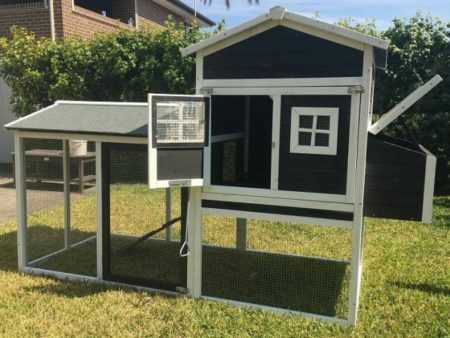 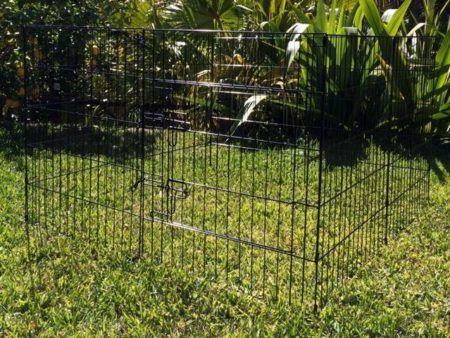 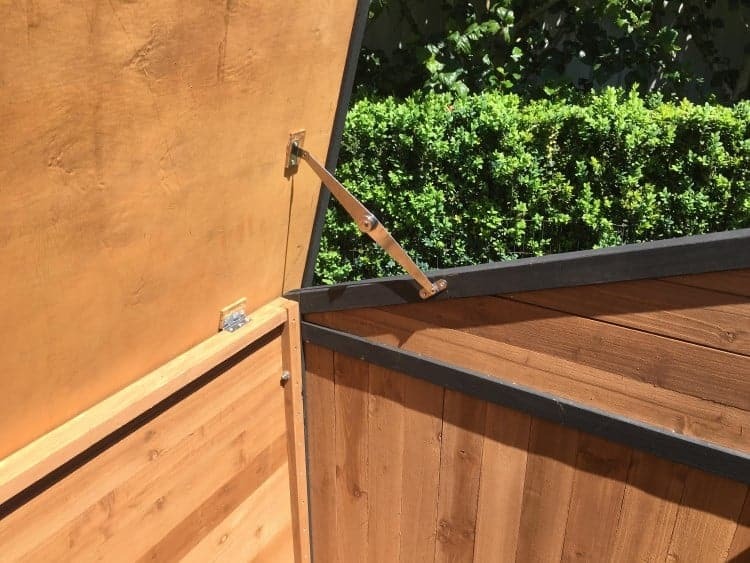 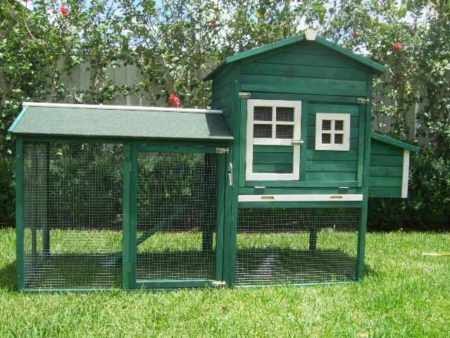 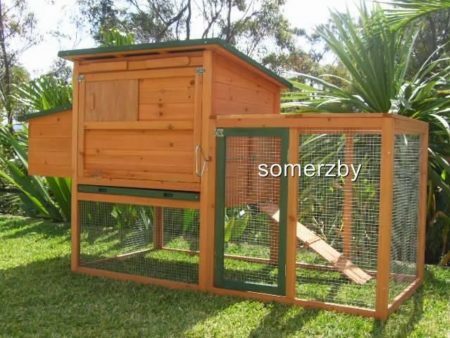 The Grand comes with two doors and a divider partition that can be removed if necessary to make a large area for one dog. The Grand comes with two doors and a divider partition that can be removed if necessary to make a large area for one dog. 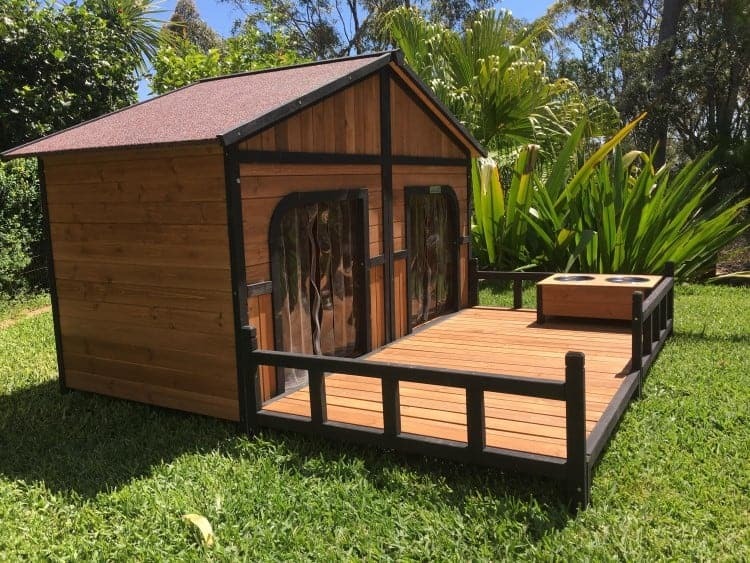 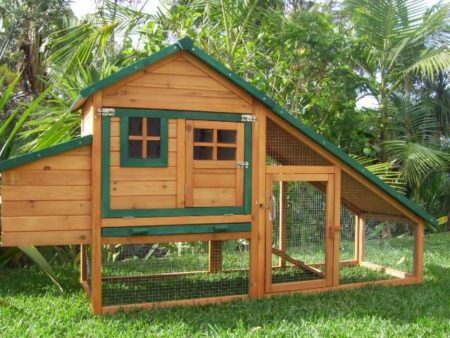 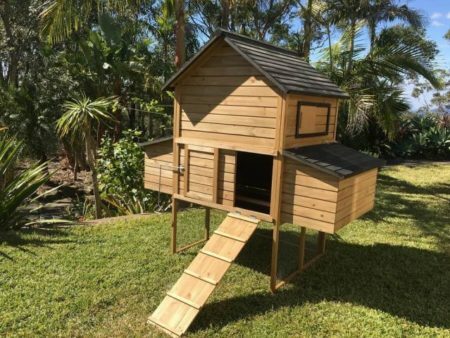 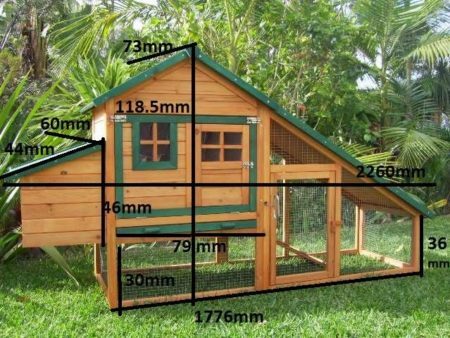 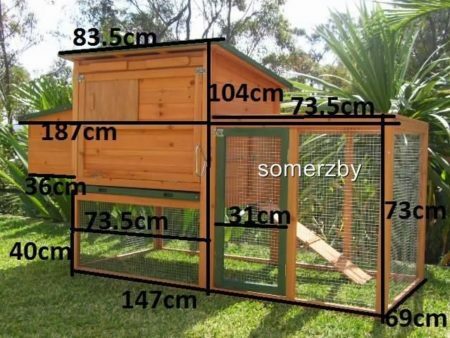 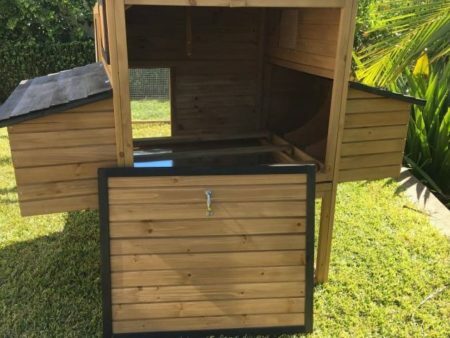 It’s constructed with rot resistant fir timber means this dog house will endure years of use with very little maintenance. 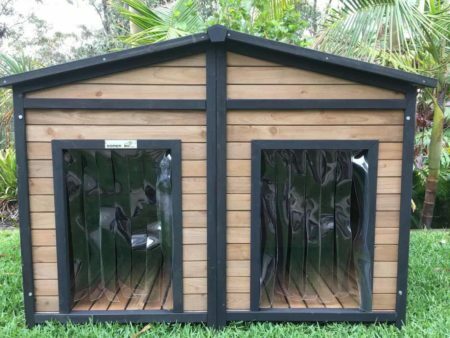 Elevated food and water bowls with stainless steel bowls.